Vance Lafferty built our first church building, and Michael Tickle sold the church the land, a site of about six acres, for twenty-six dollars. The first building was made of logs, had a dirt floor, and used slabs of hewn logs for seats. This original building was located about one-half mile north of where the church now stands1 (in the direction of Ace Speedway). In 1851 a cemetery was started beside the second building. The first body placed there was November 20, 1851. It was Julius Y. Tickle, son of Lewis Tickle. The young man was fifteen years old. Bro. Faucette Simpson helped to dig this grave. The second person buried there was Bro. Faucette Simpson’s wife, June 21, 1852.1 Both of these grave stones are still standing. In the years 1877-1885, a third building was built. Rev. D. F. Jones was active in erecting this building, and it was constructed under the supervision of Berry Davidson. It was a large building, weather boarded and painted white, and the inside was ceiled and papered. Dedicatory services for this building were held June 21, 1885 . In July, 1917, a committee on lights reported that "they have installed five swinging Aladdin lamps, at a cost of $33.75." In January, 1929, the committee on putting electric lights in the church reported "the work has been finished and the money is guaranteed to finish paying the bill." 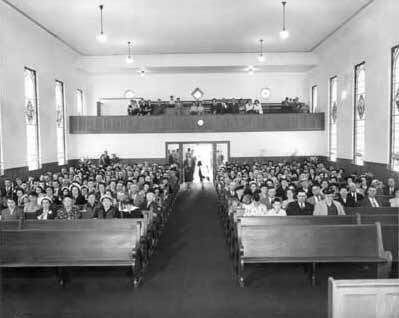 Records show that in July, 1918, the church decided to get new seats for the church. "L. D. Rippy, W. A. Paschal, and A. C. Madren were appointed to purchase new seats and dispose of the old seats to the best advantage." Mr. Carl H. Sutton, Sr. said he remembered that the estate of his grandfather, Riley Sutton, gave eight hundred dollars toward the purchase of the new seats, and he also remembered that the cost of the new seats was $1,600. They were put in the fourth building in 1951 and are the same ones used today. 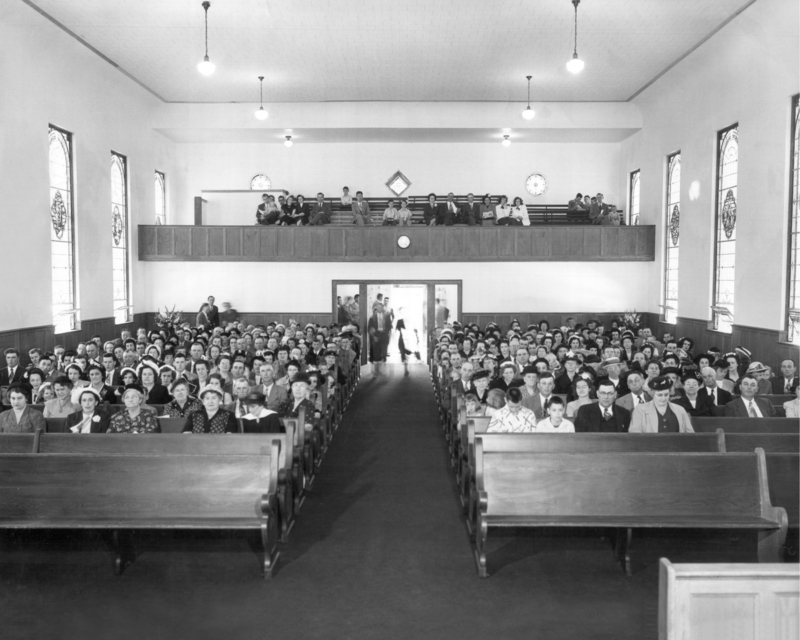 In 1923 Sunday School rooms were added. 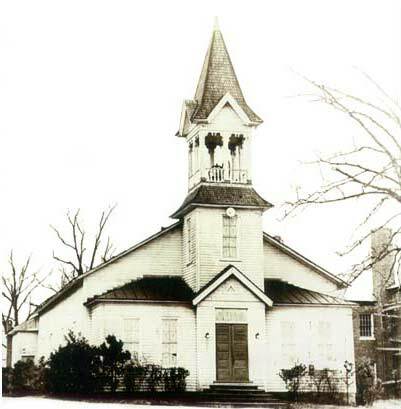 This building was torn down after the church moved to the fourth and present building in 1951. In 1941 it was decided that this building was inadequate to meet the needs of the congregation, and investigation disclosed that this church was eligible to share in the estate of the late Rev. J. W. Holt, who had left provision in his will for the churches he had served as pastor, and who had paid his salary in full, to receive specified amounts, provided they raised an equal sum to be used for building purposes. This church received $3,250 from his estate. Plans were begun for the fourth building to be built on the south side and close beside the third building. The blueprint for this building was accepted in 1944. The estimated cost was $60,000. Work began soon with much material and labor being donated by the members. A cornerstone laying service was held May 16, 1949. The mortgage burning service was held March 9, 1958 . Allow extra download time. Initial views will be top left corners. Use vertical and horizontal scroll bars or your mouse scroll wheel to view full photos. In 1960 a parsonage was built on the southeast side of the church property, at a cost of $20,000. J. Wilson Kernodle was the contractor. The building is used currently for church offices and a Meeting House. In 1981 a Fellowship Hall was built at the back of the church and connected to it by a covered walkway. The contract price of this building was $171,000.